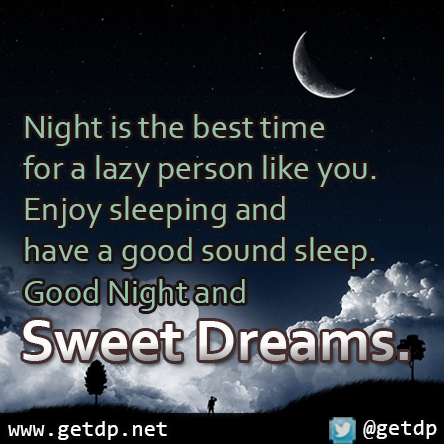 GETDP: Night is the best time for a lazy person like you. Night is the best time for a lazy person like you. for a lazy person like you. have a good sound sleep.